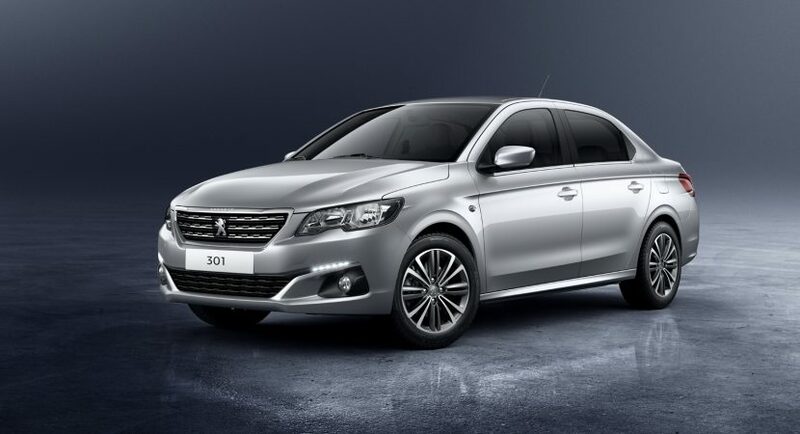 Launched in 2012 and designated for cheap markets from South America or Middle East, the Peugeot 301 Sedan has recently had its share of updates, in the shape of new engines and restyled design. Once emerging on designated markets worldwide, the updated Peugeot 301 Sedan will come available with four engines under the hood. We are looking here at a 1.2-liter inline-three with 82 horsepower, closely followed by a 1.6-liter flat-four, developing 115 horsepower. Next in line is the 1.6-liter diesel four-cylinder with two setups – 92 horsepower and 100 horsepower, respectively. All four mils are hooked to a standard five-speed manual gearbox in the diesel and a six-speed automatic in the petrol burners. As for the exterior visuals, the new Peugeot 301 comes with a new front grille and hood, adding flush-mounted headlights, more muscular lines which are reflected by the new colour options, as well as the 16-inch alloy wheels in two-tone finish. Inside, the new features refer to a seven-inch touchscreen with TomTom navigation system, rearview camera, smartphone mirroring technology and much more. The model will continue to be built at the carmaker`s new factory plant in Vigo, Spain, alongside the new Citroen C4 Picasso and Grand Picasso, and the Peugeot Partner and Citroen Berlingo vans. The full pricing tags for the updated Peugeot 301 Sedan will be announced at a later date.